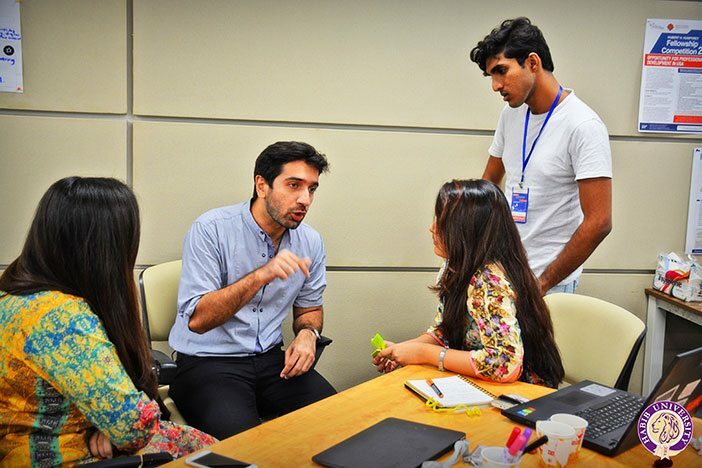 Arts and culture organizations were amongst the top winners of $2,500 grants at PeaceTech Exchange (PTX) Karachi, a 3-day conference hosted at Habib University by PTX Pakistan, in collaboration with the Habib University’s School of Science and Engineering. PTX Pakistan is a joint venture of LUMS-based Technology for People Initiative (TPI), and Washington DC-based Peacetech Lab. The 3-day conference and workshop, held at the Multipurpose Hall at the HU campus between June 10 – 12, 2016, brought together Karachi’s brightest minds to “bridge the gap between civil society actors and technologists, and to encourage collaboration on peace-building activities.” The participants represented fields of education, arts, culture, technology, from established players, to recent startups. The conference began with a panel on “Understanding Violent Extremism & Challenges to Peacebuilding,” with civil activist Jibran Nasir, Ahsan Zafar from PeaceNiche/T2F, Erum Khatri from Kiran Foundation and Sehar Tariq from United States Institute of Peace (USIP). 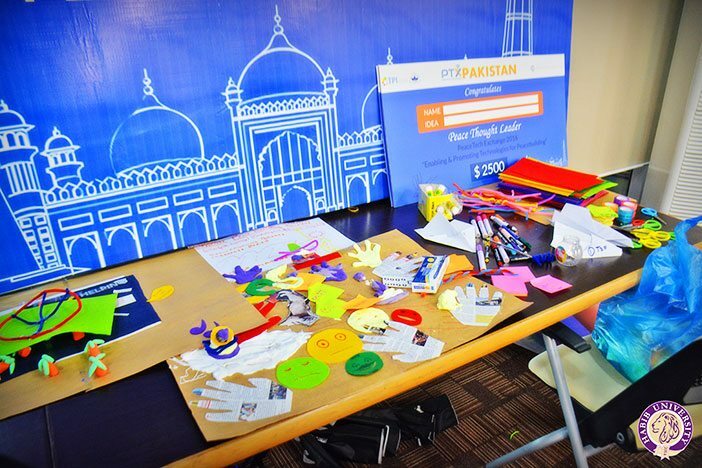 Participants were led through a series of design activities to propose projects for a $2,500 development grant. They articulated their ideas on violence and counter violence through craft in Design Sprints, and dug deep into their proposals during the Landscaping and Mindmapping sessions. All the while, technologists helped them think about extending their organizations’ capacities through available tools in Technology Breakouts. All 12 organizations presented their final proposals on the final day to a panel of judges including President of P@SHA and CEO of The Nest I/O Jehan Ara, Director of Peacetech Exchanges at Peacetech Lab Tim Receveur, Pakistan Country Representative of USIP Sehar Tariq, Director of TPI Ali Inam, and HU faculty Gulraiz Khan. The three $2,500 grants were awarded to project proposals from Karachi Biennale, PeaceNiche/T2F and Ment-Hub. Each of these organizations proposed original, critical and inspiring ideas to create more opportunities for a more diverse and tolerant Karachi. This was the second in a series of PeaceTech Exchanges, the first having been held at Lahore University of Management Sciences, from March 25 to 27. The third event of the series will be held later this year in Islamabad. We wish PTX all the luck!